A variant of the F/A-18 Super Hornet, the Growler airborne electronic attack fighter jet will be showcased at the Finnish Air Force 100th Anniversary Air Show. Boeing EA-18G Growler Makes its First Appearance in Finland. 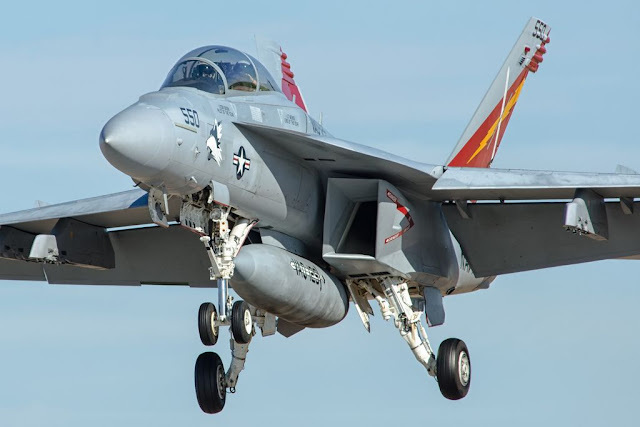 Boeing and the U.S. Navy will exhibit the EA-18G Growler airborne electronic attack aircraft for the first time in Finland. The jets will be on static and flying display during the Finnish Air Force 100th anniversary air show, June 16-17 at Tikkakoski Airport in Jyväskylä.